Valentine's Day 2016 is on a Sunday, giving those who love romance an amazing opportunity to plan a whole day of spoiling the one they love with an array of wonderful and exciting activities. Here are five ideas for you to choose from, or maybe do all five! Hubby and I like nothing better than hopping in the car and going for a long drive to just about anywhere. Why not take a drive to the beautiful McLaren Vale region and enjoy some cellar door visits and may be even lunch. 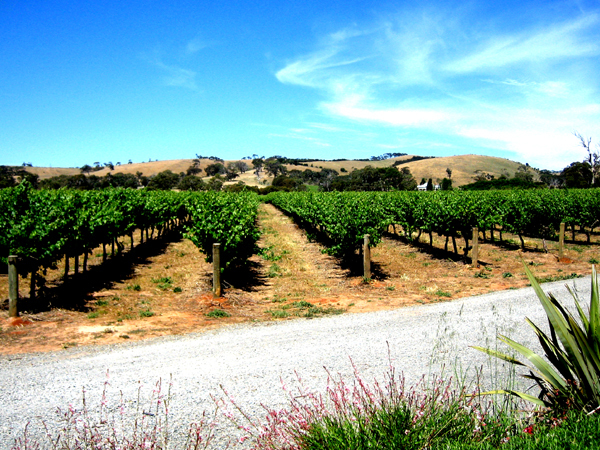 Wineries in the region include Angove, Aramis, Chapel Hill, Hugh Hamilton and Penny's Hill. If wineries are not your thing, maybe head to the Whispering Wall just outside Williamstown in the Barossa Valley. At over 110 years old, words whispered can be clearly heard approximately 140 metres away, all the way to the other side. There are also many great wineries in the area, if you want to combine the trip and have lunch at a local winery. No, not a visit from outer space, but how about heading to Adelaide Zoo for an up close and personal with animals of your choosing. You can choose from the Giraffe Feed, VIP Panda, Bugs Alive, Lemur Encounter, Tree Kangaroo Encounter, Yellow-footed Rock-wallaby Encounter, Meet the Primates, Hippo Interactive, Big Cat Interactive, Bear at Breakfast or Lion Encounter. Head to the Adelaide Zoo website for dates, times and cost. Alternatively, take the opportunity to swim with dolphins. I have swum with pink dolphins in Singapore and it's an amazing experience! Red Balloon are offering this experience for $98 per person from Glenelg. Head to their website for more information. This could come under Take a Drive, but I think I deserves its own heading. Why not head up into the Adelaide Hills and go for a relaxing stroll through beautiful Hahndorf. You could even drive up on Saturday and stay overnight at anyone of the amazing B&B's in this area. Australia's oldest surviving German settlement, Hahndorf is absolutely full of interesting stores to wander in and out of. Hahndorf on the Fringe is on Valentines weekend, with amazing Visual Arts offerings for you to explore. 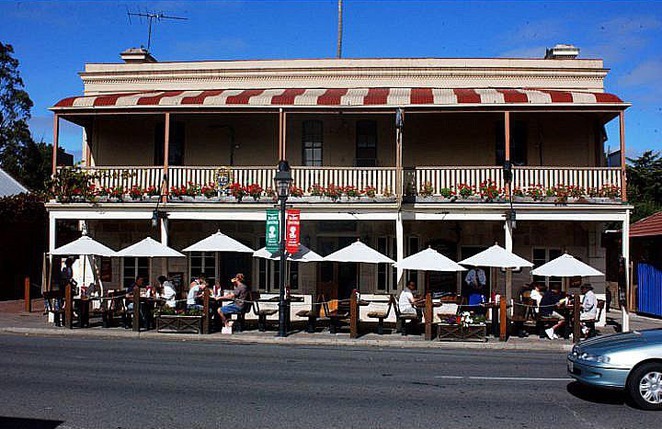 Why not take the opportunity to watch the sunset at Mt Lofty Summit or Mt Barker Lookout while enjoying a meal at one of the summit restaurants. Again in the Adelaide Hills region, and located at Mount Barker Road Hahndorf, the Beerenburg Farm (famous for their jams) provides a great opportunity to pick your own strawberries. Picking season is mid October to April, so the time is ripe! However, make sure you check their website on the day to make sure the patch is open for picking. 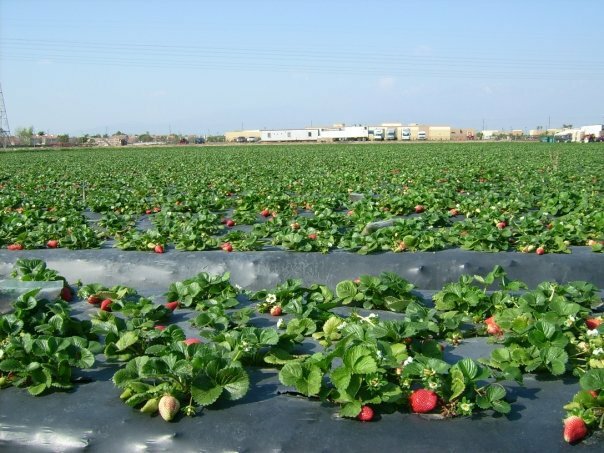 Patch entry is $4 per person and then $9.50 per kg for the strawberries you pick. At Lower Hermitage Road Houghton, you will find the Glen Ewin Estate where you can pick your own figs for $10 per kg. They also have a shop where you can purchase drinks, ice cream, cheeses and chilled wine. Make a day of it and enjoy a picnic! You can combine any or all of these activities with a romantic night away either at McLaren Vale, Hahndorf, Adelaide city or in the Barossa or Clare Valleys or Adelaide Hills. Whatever your choose, make the most of Valentine's Day being on a weekend and find the romantic within. Thanks Annette, great suggestions, especially the figs! Thanks.